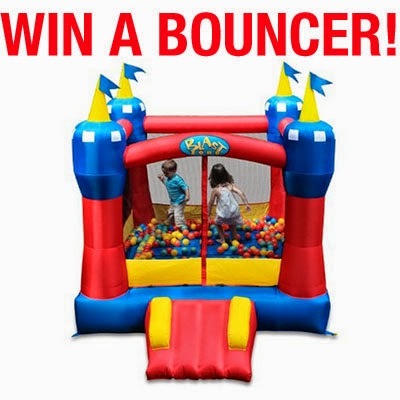 For the first time ever, I'm joining a supergroup of bloggers to offer my readers the chance to win an amazing Blast Zone Magic Castle Inflatable Bouncer . Can you imagine the look on your kiddos' faces?! The Magic Castle is our most popular bounce house. This bigger, improved version of the classic Blast Zone castle blows up in seconds, and holds up to 3 kids or 300 pounds of little party-hoppers. The “Safe Slope” Slide provides safe, easy access, and the surrounding netting and Velcro entrance will keep kids safe while they bounce and have a blast. The extra-durable commercial vinyl floor, and reinforced seams add extra bouncing life. we have no outdoor toys for her.